It’s Saturday, and my wife and I are joining our daughter, Lindsay, and her husband, Chas, on a road trip to New Orleans to eat at Pêche. Chef Donald Link’s newest restaurant specializes in seafood utilizing a large coal-fired grill, as opposed to his nationally-renowned restaurant Cochon, which highlights the wonder of the pig. Upon entering the space, there is an airy and dated look to the place with exposed, weathered wooden beams and unfinished wood used for the tables. The historic building was a mortuary after the Civil War. 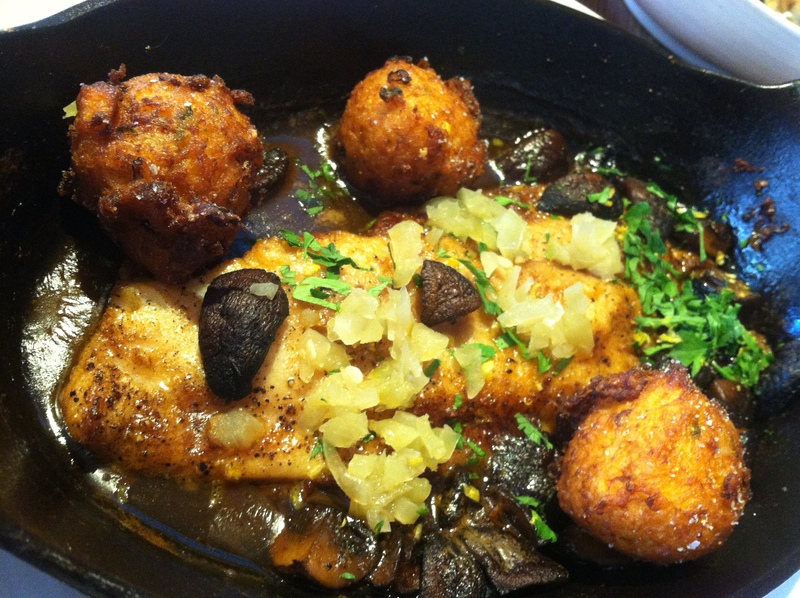 After looking at the menu, we decided to go tapas-style, with all of us sharing small plates of food. This gave us a chance of sampling more items from the menu. Grilled royal red shrimp arrived first. 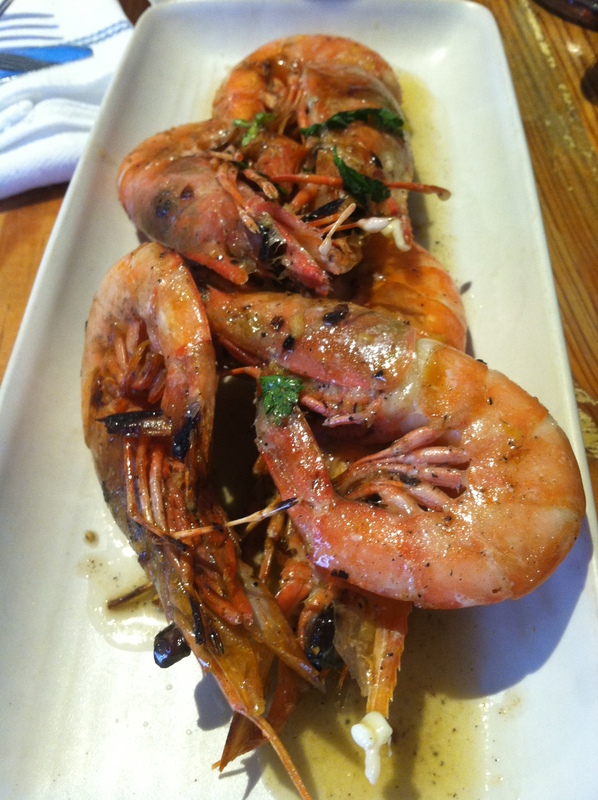 These were large, heads-on shrimp perfectly grilled and lying in a garlic butter sauce. I would advise to order hush puppies with the shrimp to soak up that sauce. 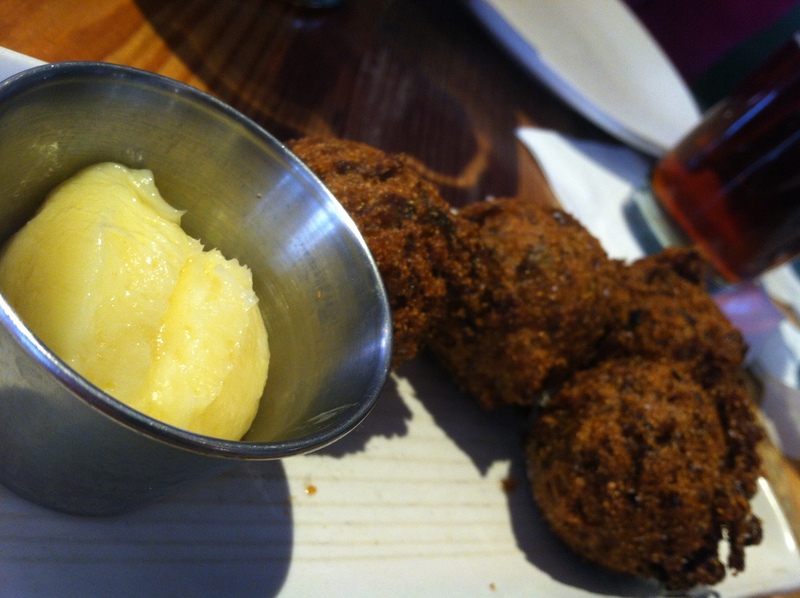 As far as the hush puppies, Donald Link said in Food & Wine Magazine that he thought his hush puppies were the best in the world. This could be true because those corn meal balls of goodness exploded with flavor, having the right blend of herbs, green onion, and heat. 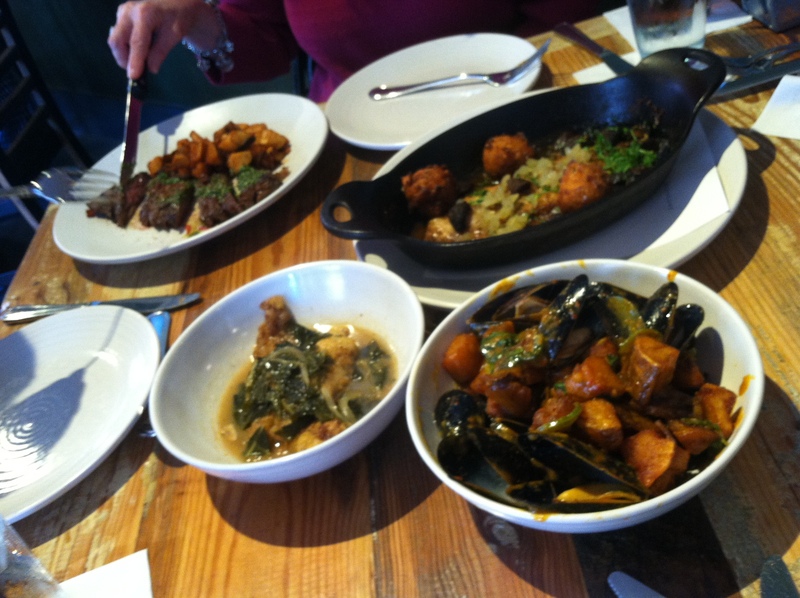 The rest of the food ordered included catfish with pickled greens, curried mussels, grilled skirt steak with salsa verde, and baked drum with mushrooms and squash fritters. All were good and well-seasoned, especially that sauce with the baked drum. Those squash fritters did not have a chance with the sauce. Pêche has a decent selection of wines by the bottle or glass, as well as beers on tap or the bottle. We enjoyed a pitcher of Lazy Magnolia Southern Pecan Ale. The service was great, waiters were attentive, and food came promptly to our table. A big thumbs up for Pêche.